Backup and archive. Daily. No exceptions. If you are reading this and you are not fully backed up using Time Machine and Carbon Copy Cloner or SuperDuper, stop immediately and order a new external multi-interface bus-powered backup drive or two. Keep one drive handy for daily updates, and the other offsite for safety and security. Email the G-Men on the MyMac Podcast if you need advice on how to use Time Machine and the other two backup applications. 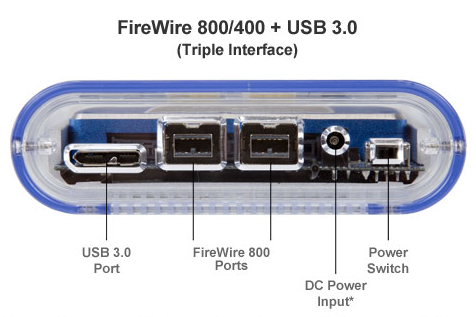 I have been using and testing OWC’s Mercury On-The-Go Pro Triple Interface acrylic-encased FireWire 800/400 + USB 3 SSD and HDD solutions for several months, and I recommend them highly. They are versatile, sturdy, affordable, efficient, fast, and have the best guarantee in the business. Obtain an OWC unit with more storage than you think you need, because soon you will be glad you have the extra capacity. Get an SSD if max speed is your top priority, or choose an HDD if cost and max GB are paramount. Seagate continues to deliver high-capacity quality Macintosh-focused external bus-powered drives with removable interface modules. Don’t let the low pricing fool you. I put Seagate portable HDDs through rigorous use every day for personal and work backups, and they always perform. You can pull the USB3 component off the drive chassis and insert a FireWire 800 module for optional use when required or desired. The latest models ship with USB3 attached. 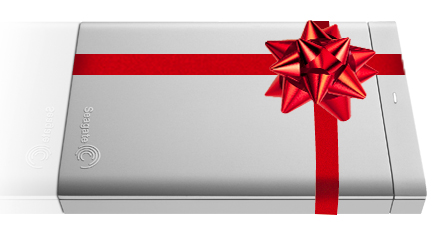 Backup Plus Portable Drive for Mac comes in 500GB and 1TB sizes, and also receives Nemo’s personal recommendation. No iOS Lightning dock? No problem! CableJive solves a problem owners of new iPhone, iPad, and iPod touch equipment have: how to dock their precious new player to existing hardware that has a legacy Apple Dock port. You don’t need no stinking Dock, Doc. Turn on Bluetooth in iOS Settings and stream your audio to an inexpensive CableJive’s dockBoss air, Boss. In less than a minute you’ll hear full quality audio coming from your speaker system without wires or expensive Apple Lightning adapters. There is no step three, but be aware that Bluetooth streaming drains iOS device batteries faster than normal. 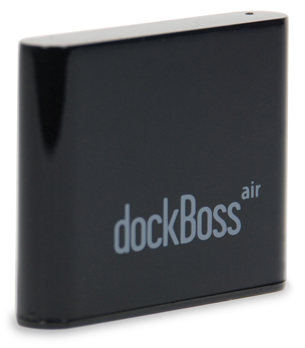 Suggestion: because dockBoss air is small and black, put a sticker or some nail polish or a drop of paint on it, or else it’s difficult to find in a dark drawer, cluttered pack/purse, or messy glove compartment. Charging one or two Lightning-equipped or earlier Dock port devices is easy with Kanex’s new DoubleUp 21 watt dual USB charger for iPad, iPhone, and iPod. It’s stylish, and with 21 watts, DoubleUp won’t break into a sweat when a pair of iPads is being charged simultaneously. 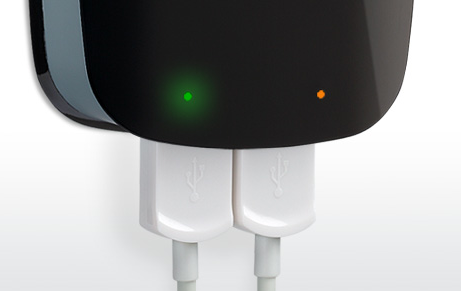 Status lights keep you informed of charging progress, and DoubleUp’s folding AC wall plug recesses into flush mounting when not in use, or in transit. Two colors are available: white is outasite, and black is plack in the shack. Give your MacBook Pro and Air some adjustable air. Twelve South solves three diverse problems with one attractive and practical hardware solution. HiRise for MacBook is an adjustable, tilted, elevated riser stand that provides ventilation, customized viewing angle and height, plus storage space underneath your laptop Macintosh. HiRise is spring loaded, attractive brushed metal, and poised to align your MacBook to your eyes, with and without an external display. I resisted using HiRise at first, because I didn’t want to be locked into a specific spot on my desk, but HiRise is easy to reposition as needed, and the space it creates is very useful. Just Mobile takes a different and innovative approach to elevating your MacBook. The AluRack and AluBase allow you to place a closed Macintosh laptop computer in a safe, vertical position, when being used to power an external display. 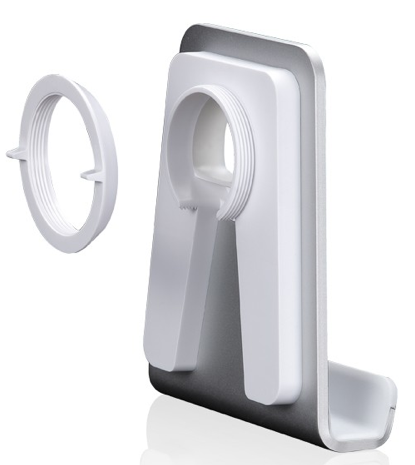 AluRack stows the MacBook conveniently behind your display or iMac, and AluBase resides on your desk or table top. Read about them on the company’s web site and scratch your head as to these products’ practical usefulness, but once you have them in place you’ll wonder how you ever managed without AluRack or AluBase, depending upon your individual situation. AluBase has two different inserts included, to support all current Macintosh laptop models. Thanks to all the fine companies who make Mac-compatible accessories.